Moored in quiet dignity, the majestic Battleship North Carolina rests across the river from downtown Wilmington, beckoning visitors to walk her decks. In the Pacific Theatre you will discover the daily life and fierce combat her crew faced during World War II. From all across our nation came young men who had grown up in the crucible of the Great Depression and were determined to serve their country in its time of need. These are the men whose stories you will encounter through their oral histories, photographs and mementos as you experience the ship and its exhibits. Build your personal connection with their stories by steering the ship, starting her engines or even firing the guns. 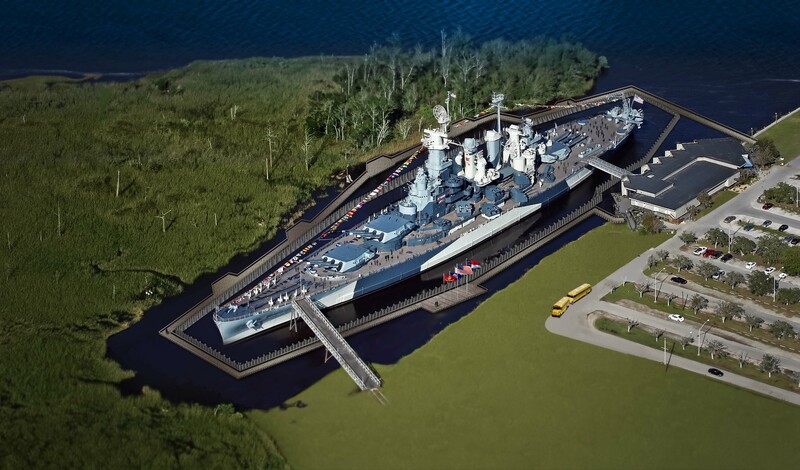 The Battleship North Carolina It's Your Experience.